I’ve been living here for just over a year and have had lots of visitors of all sorts–those who love museums, those who love wine, those who just want to know what it’s like to live in Buenos Aires, those who want to shop, and those who love music. Here are ten things I would do with any of these visitors. There are, of course, hundreds of things to do in Buenos Aires, but these ten would give you a pretty good idea of the diversity of this amazing city. 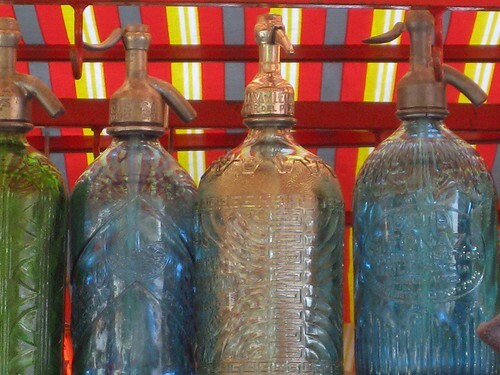 San Telmo Antique Fair – On Sundays, San Telmo fills up with tourists and locals and vendors galore. The fair has grown in recent years so you’ll find much more than antiques, but in Plaza Dorrego it’s antiques only. The collections are fascinating. If the crowd starts to get to you, head off of Defensa (the main street through San Telmo) to Peru or Balcarce. 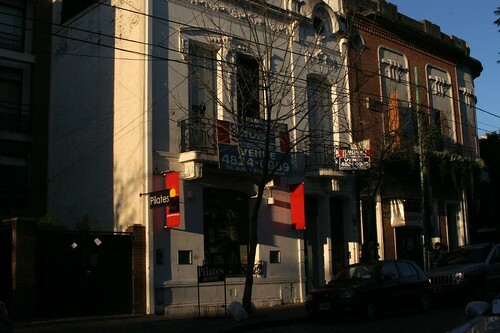 Balcarce is a small street with some of the best preserved San Telmo architecture. Peru is more busy but there are several good cafes and bars where you can hide out until you’re ready to fight the crowds again. Whatever you do, don’t miss the old-fashioned market in San Telmo. it’s between Carlos Calvo and Estados Unidos just off of Defensa. Tango at Confiteria Ideal (on Thursday for the orchestra) – My favorite tango experience because I don’t dance. If you’re a tango dancer, you’ll want to go elsewhere. But if you want to watch others dance and hear a live orchestra all set in a ballroom of faded decadence, Ideal is the place to go on a Thursday night when the live orchestra plays. Get there early enough to get a good seat (say 10:00 pm) or call to make a reservation. They’ll go all night. Cafe Tortoni (but not to eat) – Ok, so the food leaves a lot to be desired and in a city like Buenos Aires, there’s no sense eating mediocre food. But do go there for a coffee or a refreshing drink while you’re out and about in the downtown area. 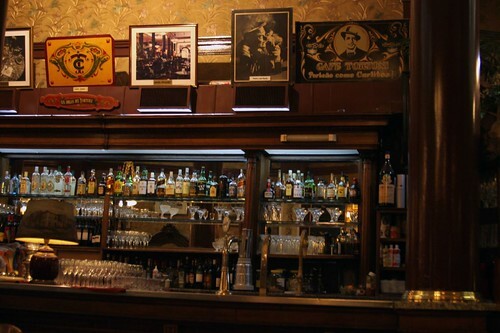 Cafe Tortoni takes you back in time. You’ll see tons of tourists taking pictures (inside and out), you may have to wait outside for table to free up (but not usually a long wait), and the wait staff is, well, rude. But once you get past that part, linger at your table as long as you like to watch the comings and goings and imagine you’re visiting Buenos Aires 100 years ago. Recoleta Cemetery and Avenida Alvear (visit the fancy hotels) – Obviously you have to visit the cemetery. It reminds me of cemeteries in New Orleans. Little cities of elegance and history. But you should also stroll down the street Alvear to see the mega-fashion houses (Gucci, Armani, the like), and to visit two hotels: Alvear Palace Hotel and the Park Hyatt. Alvear Palace Hotel is old-fashioned elegance while Park Hyatt is modern perfection. Milion (cocktails and appetizers with the hip crowd) – On Parana (1048 just off of Avenida Santa Fe), this is the place to go for cocktails. The attraction isn’t the cocktails themselves, it’s the restored mansion that houses Milion. Sit down and imagine what it must have been like to live in such a place. Such elegance. The garden is stunning. The staircase to the garden is also, and it’s a good place to sit to have a drink if you happen to go when there are no tables available. Divine experience all around. 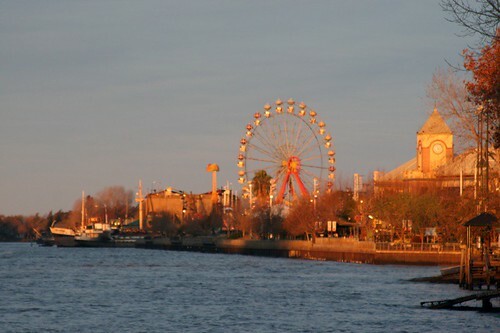 Palermo Soho (shopping and eating) – On Saturdays and Sundays, there’s a fair in Plaza Serrano. It’s not a great fair, but it brings a lot of people to the area. Most of the restaurants here are exceptional so you’ll want to have lunch or dinner. This is the part of town that has the most interesting shops. Local clothes designers, fantastic paper stores, interesting home decor designs, unique and affordable jewelry and shoes. Any day of the week it’s interesting, but it’s most lively on weekends. 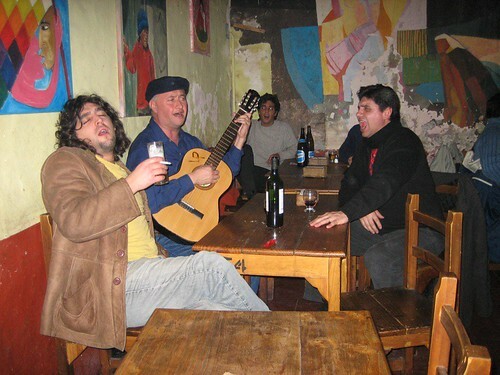 La Peña del Colorado (folclore and food) – I love Argentine folclore (a type of music more popular in the Interior than in Buenos Aires). It’s boisterous, rhythmic, and reminds me of bluegrass and country music from back home. Located in Barrio Norte on Guemes (3657), this place makes me feel like I’m in Cordoba or Santiago del Estero, eating meat and french fries on wooden tables surrounded by people I don’t know and listening to a live show of chacarera or zamba. The show at La Peña del Colorado starts early for Buenos Aires (9:30), so get there even earlier to be sure you get a seat. But stay later. Once the show is over, groups sitting at tables throughout the restaurant will start up their own juntadas (a gathering of people to drink and sing). While you’re there, you might want to try some mate (the haylike infusion Argentines drink out of a gourd). Add sugar if it’s too bitter for your taste. El Ateneo (most beautiful bookstore ever) – On Avenida Santa Fe near Callao and Riobamba, this is the most beautiful bookstore I’ve ever seen. El Ateneo is housed inside an old theater. There’s a cafe on what was the stage, you can sit in the balconies to read for a spell, or you can just wander around and look at the amazing lighting and architecture. Tigre (a bit of nature and more shopping) – Go on a Saturday so that you can head to Mataderos, Soho or San Telmo on Sunday. Why I like this trip? The train ride is great. It takes you along the coast (although you don’t see the river) up through the northern suburbs of Buenos Aires. You might even want to get off the train and see San Isidro if you have time. It’s a gorgeous suburb, hilly, green and with spectacular views of the kite surfers down on the river. Tigre itself can take the full day, so head out early. Stop by the tourist information office near the McDonalds. They’ll give you information about boat rides you can take through the river and to visit the islands if you want to get off the boat and walk around. You can also rent bicycles or canoes. Then save enough time to head over to the port and the Fruit Market. There’s much more than fruit. See Gift-Buying in Tigre for more information. And if you do go on a Sunday, buy a roundtrip so you don’t have to wait in the lines to get your return ticket. 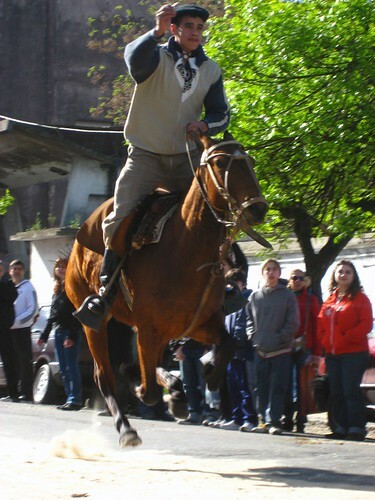 Mataderos (folclore, meat, gauchos, and shopping) – Mataderos is a barrio in the west of Buenos Aires. It’s a hike, but it’s worth it. In summer, they move the fair to Saturday evenings, but during the rest of the year it’s my favorite activity on a Sunday. The fair itself is interesting and prices are about 1/3 cheaper than in the center. But it’s the live music and dancing that I like. There’s a huge stage in the main square with one performance after another of Argentine folclore. Couples dressed in traditional clothes dance in front of the stage. Grills serving up choripan (Argentinean hotdogs that are way better than hotdogs) or grilled meat of just about any kind encircle the dancers and musicians. And in the afternoon (usually at about 2:00 pm) there’s a gaucho show on the same street as the stage just after the last stands. Young and old gauchos ride their horses under an arch trying to pull off a ring with a small stick. Talk about horsemanship. Mendoza for Easter? Looking for a room…. Some friends are planning a trip to Buenos Aires in March and want to go to Mendoza for Semana Santa (Easter week). I put together a list of hotels in Mendoza for them to consider . But since it’s also harvest season and just after the harvest festival–La Vendimia, maybe we need to book now. I’ve started putting together a few lists for my friends. And just in case you might be planning a trip to Mendoza at Easter, here are some of the results of my research. The hotels listed below are mostly outside of the city of Mendoza. 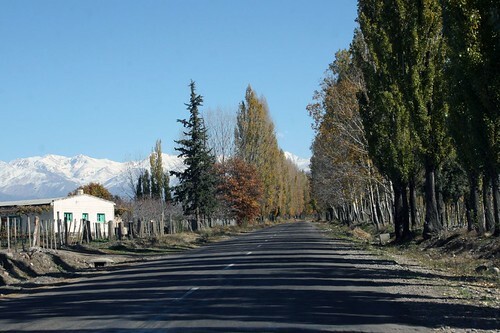 There are two main areas with wineries (bodegas) and boutique-type hotels: Chacras de Coria and Tupungato. Chacras de Coria is a beautiful little town in Lujan de Cuyo near the Maipu valley (sort of the Napa Valley of Mendoza). It’s picturesque and there are some fantastic restaurants in town. Also, it’s much closer to the city of Mendoza so driving in at night to try some of the restaurants in the city would be easier from here than from Tupungato. And there are more wineries in this area. Tupungato is more rustic in terms of accommodations and restaurants, but more majestic in terms of beauty. It’s further away (in the Valle de Uco) and less crowded. The mountains are gorgeous. It’s much higher up than Chacras and the places here feel more gaucho-like. It’s a different sort of experience. It’s the difference between Aspen, Telluride and Crested Butte: Mendoza being Aspen, Chacras being Telluride, and Tupungato being Crested Butte. Club Tapiz– Popular place to stay and for dinner. It’s highly recommended. Rancho E’Cuero-Rustic sort of cowboy feeel. Estancia Chateau d’Ancon – Very French feeling. Posada Salentein– This one is considered one of the most modern bodegas in Mendoza. Stunning, but not as quaint per se as the others. Lares de Chacras – Looks very quaint and charming. Posada Borravino – Nice rooms and warm atmosphere. Bodega Inti Huaco – It feels very Argentine. Postales del Plata – Looks good. Can’t tell much from the page. La Posada – Impressively elegant. 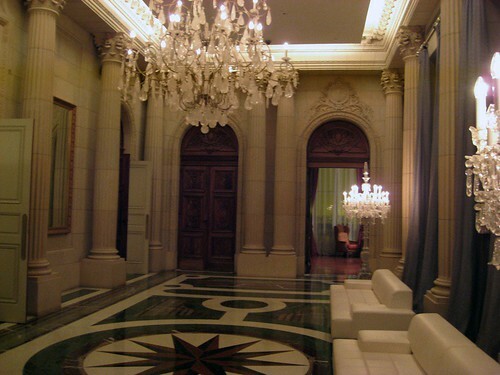 Park Suites, Executive Hotel – This is the only one in the city of Mendoza. It’s not my style, but since the Hyatt is booked (and way expensive) it would be a good option in the city. The Sheraton is opening soon, but I’m not sure when.